Central American markets are seeking quality American-made products, and our upcoming Trade Americas Business Opportunities in Central America Conference can connect your company to promising opportunities. The mission targets five markets under The Dominican Republic-Central America-United States Free Trade Agreement (CAFTA-DR) and the United States-Panama Trade Promotion Agreement (TPA). These trade agreements make it affordable, easier, and faster for businesses to get their products to market by creating efficient and transparent customs procedures that help move goods quickly through borders. Apply early, spaces are limited! *Expenses for travel, transportation, lodging, most meals, and incidentals will be the responsibility of each mission participant. Each year, the Summit showcases investment opportunities from every corner of the United States, while high-profile business and government leaders share insight on the latest business trends. Participants find the practical tools, information and connections they need to move investments forward. 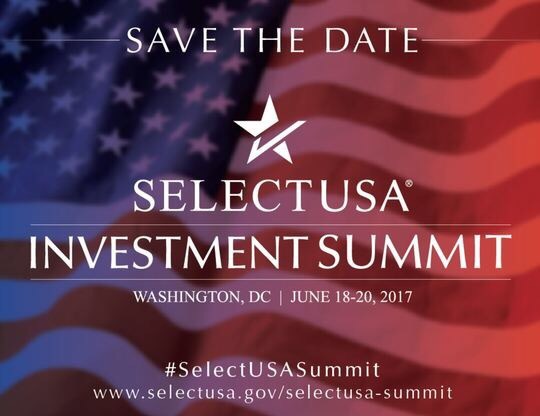 Hosted by President Barack Obama, the 2016 SelectUSA Investment Summit was a tremendous success, convening more than 2,500 participants from 70 markets and 52 U.S. states and territories. Join this webinar to learn helpful record keeping information on asset/purchase/expense records, gross receipts, maintaining employment tax records, record keeping time frames and the different types of record keeping. Learn how to keep your business documents organized all year round ensuring your taxes are filed accurately and in the very rare instance of being audited you are prepared! Also learn about the many the SBA programs, tools, and resources that can strengthen your business and help it to grow. Affordable Home Program by Pacific Rim Business Council. Tuesday, August 22, Holmes Stoner, Chairman of American International Chamber of Commerce ( AICC), Pacific Rim Business Council (PRBC) held a press conference of Container Housing Project “Affordable Home Program” for the presentation by government officials and the veterans administration in Marina City Club Los Angeles. Cascon Industries, one of the largest container manufacturers in the world, based in Hai Duong Vietnam, will donate a container home to a deserving homeless veteran to show sincerity and respect for America and its deserving veteran soldiers making an event of historic importance. 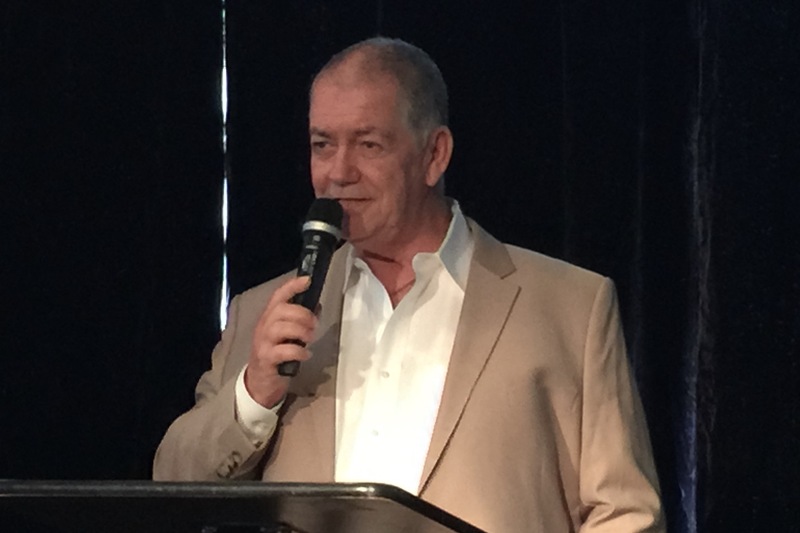 Cascon leads in the world of container home manufacturing providing new ideas and development in eco living and sustainability through their exclusive relationship with the Pacific Rim Business Council based in Los Angeles. With the upcoming TPP trade talks this offer is of great importance showing the priority Vietnam and America relations share in the future; making this a very historic event! This monumental event is being supported by Support our Servicemen (SOS), a public charity set up to support and assist American who have needs. Vietnamese VIP’s including Mr. Pham Thang, Chairman of Cascon industries builds modular container homes in his state of the art factory in Hanoi, Vietnam. In a gesture of friendship between Vietnam and America he presented an home to a Veteran. A homeless veteran and his family were given a home that is part of the tiny houses trend and is a way to fight homelessness in the U.S.
Tommy Weir and his family had been living in a homeless shelter, but now they have a place to call their own. They were the first to receive a new prefabricated home that was built from a steel container. The home was created by Affordable Homes 4U, which mass produces steel and container-based homes as a way to house the homeless. It was started in Las Vegas and brought over to Los Angeles. The Affordable Home Program hopes this move is just the beginning as one homeless veteran family has been taken off the streets. They said their mission is for everyone to enjoy the American dream of home ownership. The only summer inclusion camp in Los Angeles for membership families, children peers ages 5 to 16. AICC Summer Camp serves as a safe, fun haven for close to 80 participating children by providing a host of educational and recreational activities. The AICC Summer Camp experience includes structured activities, spontaneous free play, organized sports, and social interaction. Children attending the camp are encouraged to develop and explore their imaginations as they engage in various fun and educational activities. This AICC Summer Camp is free and open for membership families. * To confirm your child’s space at camp – you must attend a registration day to register (details to follow) Submission of application does NOT guarantee a spot with Camp due to limited space. Please contact AICC Summer CAMP if you have any questions or comments, or if you are interested in volunteering or employment opportunities at 213-255-2066 or camp@aiccus.org. *Our generous sponsors and donors subsidize the tuition for campers and Confucius Institute of Education from low to low-moderate income families. If you have a total combined household income of over $75,000, we ask that you make a contribution towards subsidized tuition. Camp is free and this donation is optional. All donations will be donated to the Confucius Institute of Education, The CIE is an approved 501(c)(3)tax exempt non-profits organization. SBA’s Business Plan Tool provides you with a step-by-step guide to help you get started. All of your information entered into this tool can only be viewed by accessing your account using the password you have specified. Not only can you save your plan as a PDF file, you can also update it at any time, making this a living plan to which you can often refer. You can also use your completed business plan to discuss next steps with a mentor or counselor from an SBA resource partner such as SCORE, a Small Business Development Center (SBDC) or a Women’s Business Center (WBC). Complete each section of SBA’s Business Plan Tool at your own pace. Save your work at any time and pick up where you left off the next time you log into the tool. Your information will be saved for up to six months after your last login date.